Making your own nut milk is not only easy but has the added benefit of saving you some cash. Sure, it won’t be fortified with extra vitamins and minerals like some store bought vegan milks but you could always get those nutrients from the rest of your daily plant based eats. However, that doesn’t mean you can’t add nutrient rich super food ingredients and flavorings to your homemade almond milk like turmeric, hemp seeds, maca powder, cinnamon, lacuma powder, and even some raw cocoa powder for a chocolate milk version. 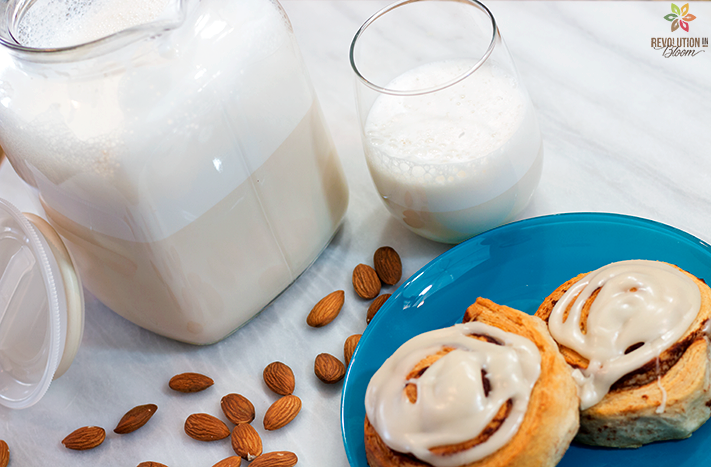 These extra ingredients are sure to take your milk to another level. Learning how to make your own almond milk at home is a must. This milk is smooth, creamy, and lightly flavored making it a delicious addition to any sweet treat, snack, or morning cup of joe. 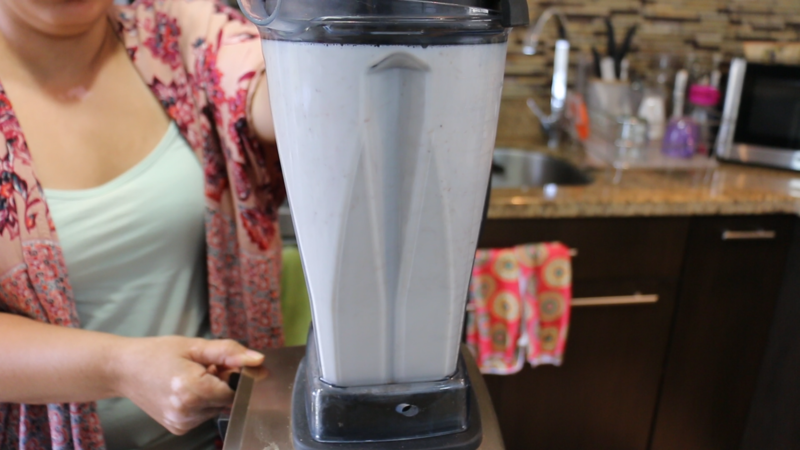 Make sure to soak your almonds overnight or for at least 4-6 hrs before rinsing them and adding them to a blender. Add your filtered water to the blender with your almonds and blend (starting at low speed and gradually increasing to high speed) for about 1-2 minutes until liquid becomes smooth and almonds break down fully leaving only tiny visible graininess in the milk behind. 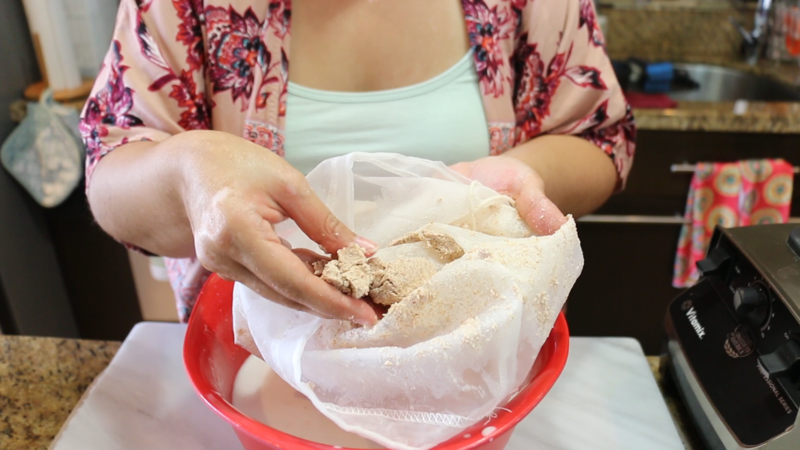 Once blended, pour your milk into a nut milk bag that has been placed in a large bowl. Close the top of your bag and squeeze bag thoroughly until all of your milk has been strained through the bag and only the almond pulp is left behind. Place your strained milk back into your blender and add the rest of your ingredients to your milk. Blend again to combine for a couple of seconds and then pour your milk into a sealed jug to store in your fridge. This milk will last up to a week in your fridge. ENJOY!